Automakers – luxury automakers especially – have been toying with subscription plans to varying degrees of success. 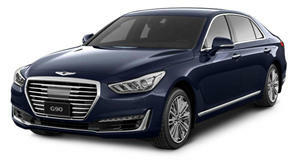 Now Hyundai's upscale Genesis division has launched a new program of its own, but it stops just short of some of the subscription models several of its targeted rivals have been rolling out recently. Marketed as Genesis Spectrum, the "all-inclusive leasing program” extends a little farther beyond what leases usually include to bridge the gap to more comprehensive subscription plans. The main difference is that it includes insurance, but doesn't allow customers to switch between vehicles. As it is, every new Genesis model – whether purchased, financed, or leased – comes with a Service Valet program as a standard feature. It includes "enhanced” roadside assistance and concierge services, including tire changes and transportation to the nearest dealer or authorized service facility. The major difference between Genesis Spectrum and the subscription plans that have been offered by other luxury automakers is the lack of possibility to change cars. 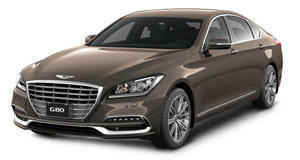 But there's a good reason that Genesis isn't offering that: namely because it only offers four-door sedans at present. And what would be the point in switching from a larger sedan to a smaller one? Genesis Spectrum is being rolled out in "select markets,” starting in Florida, where Metlife will provide the insurance. Lessees will be able to choose between the compact G70, the midsize G80 (and G80 Sport), and the grandiose G90. 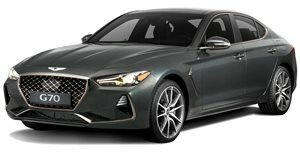 Maybe the program will be expanded into a more comprehensive subscription plan once Genesis starts offering other models, like a sports coupe or a crossover.